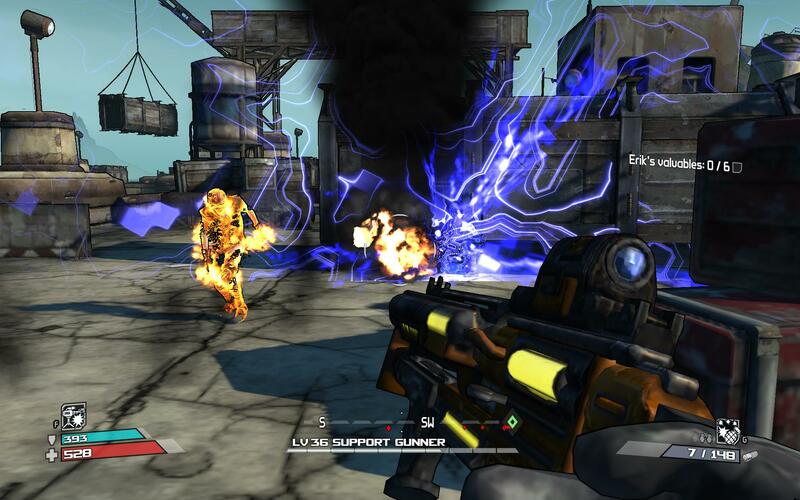 Borderlands stands out from the norm of shooters that have come out due to its cell shaded style. It does it well enough to not get crap from some people for being too cartoony. I don’t really remember its original reception, but it did well enough to warrant a sequel that was welcomed warmly along with a third inbound. Needless to say, I was looking forward to getting my feet wet in the world of Pandora. There are times when a gun just fits you… this is one of those times. What surprised me the most about Borderlands was the humor. While I expected a decent enough shooter, I didn’t expect to enjoy the character interactions so much. With oddly named enemies that drop closely related/named weapons, most of the interactions were great. Not many of them were friendly relationships and while I remember only really liking one of the characters, that person ended up getting killed. That’s just how the cookie crumbles I guess. Repeaters (pistols), revolvers, SMGs, shotguns, assault rifles, rocket launchers, sniper rifles and most of them more garbage than usable. My biggest gripe with Borderlands is with the guns. While there are plenty of guns to be found laying around or picked up off of corpses, it’s all random. The trailer of Borderlands talks about the game having “87 BAZILLION GUNS!” and that’s a pretty big number. However, they are all randomly generated off of only six different gun variants. The randomly generated method is really the only way to achieve such a crazy amount of firearms. I would have preferred a modding ability to choose what specs go on what gun I wanted. There were plenty of options to go around and I would have loved a choice. This just feels like a cheap method of trying to make the game sound more impressive than it really is. What good is having 87 bazillion guns if 95% of the guns just get sold because there is no way they could be useful upgrades to your current loadout. What was better than the guns was the addition of classes and skill trees in this FPS. I liked picking the abilities I got instead of just getting whatever the game wanted to dish me up. How cool is that? If you wanted to be a guy that just ran around and punched crap, you could be! If you wanted to be more rocket launcher or shotgun focused, there’s that too! Some of the classes did better with certain guns simply because they had level up perks that reduced recoil, increased clip capacity along with other useful talents. It is important to note that every class could use every gun type (that’s also a welcome change from the norm). Dear Mothrakk… I hate you. You and your flame breathe that killed any semblance of vision and/or a fair fight (which I was never a fan of, but usually geared towards myself). 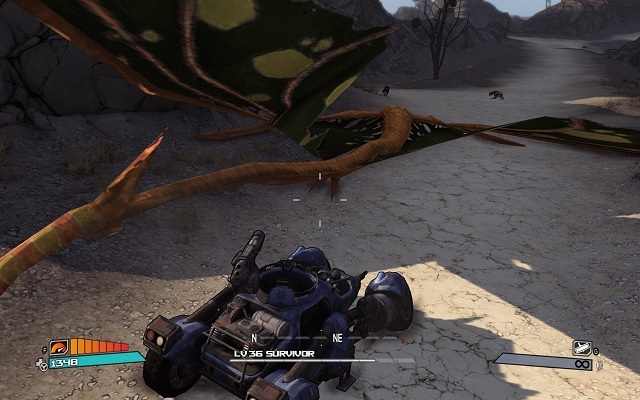 The difficulty in Borderlands definitely came from the creatures of Pandora. The humans were mean, but still walked around, guns up and sometimes crazy accuracy. It was kind of like they were programmed to just accept their fate as bullet fodder. Later, they just gave them more armor, but then you switch to acidic guns and that “difficulty” goes away. The creatures needed to be taken out in specific ways more often than not. Skags didn’t like getting shot in the mouth, some of the mutant slugs exploded when they died so punching was right out and that crappy Mothrakk just burned you until you died and came back to widdle more life off of him/her. A lot of the monsters were just copy and pasted with different skins (and therefore abilities), but it was far more enjoyable to shoot creatures than the people who just strafe-walked around. The story was also interesting and the characters that you met with/interacted with in Borderlands all kind of helped progress the story along. The problem was the ending. It wasn’t like you could see it coming, but it just felt like a huge let-down. You run a rampaging path across Pandora in search of this “Vault” and in the end you get what they feed you at the ending. Even the last boss you fight was kind of interesting and all that built up to, but just after that… it was just sheer disappointment. That didn’t feel like it ruined the whole game, but it certainly didn’t help the replayability for me. Sometimes a good ending can make you want to play through a few times and sometimes a bad ending can just kill the desire to play again outright. The gunplay in Borderlands stands as some seriously well done shooting mechanics. 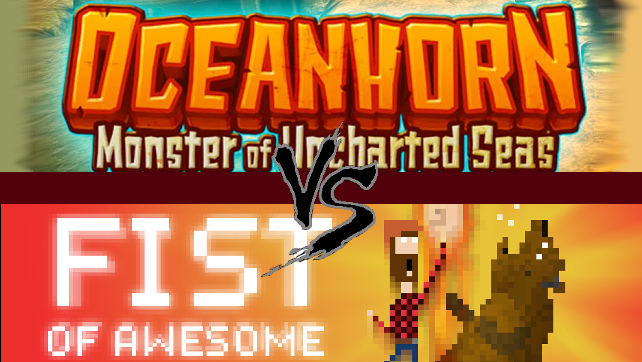 The game as a whole is not as impressive as it is fun. 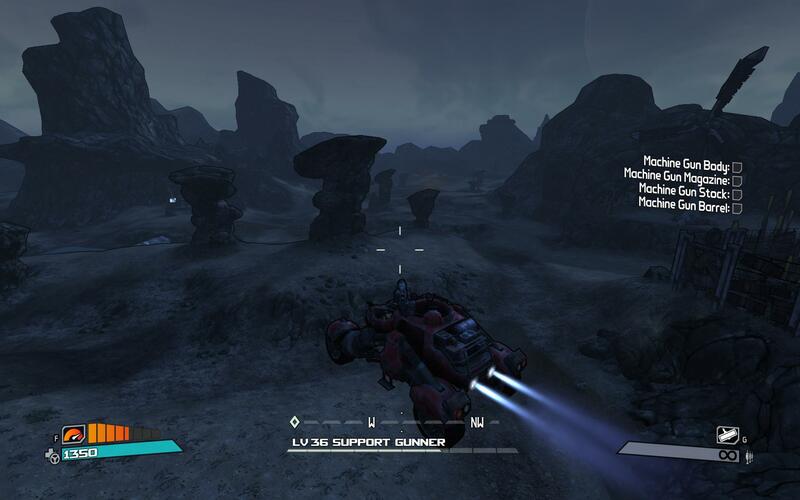 With the lack of a decent ending, crappy RNG gun generation and lame enemy pathing (hey, at least they take cover) it stops Borderlands from being as fun as it could have been. I wanted to rate this game a little lower, but for some reason FPSs are hit and miss now for non-clunky gun mechanics which makes Borderlands better than some more recent shooters. I liked the RPG aproach they took as well. All things aside, while it may not have been the most amazing thing since sliced pizza, it did make me want to at least try the sequel. That’s got to count for something, right?